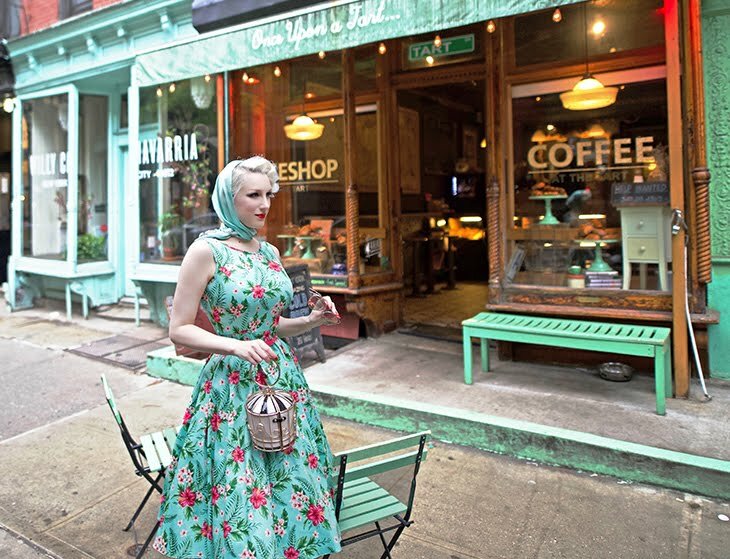 Spring days in Soho... so many cute shops & restaurants in beautiful historical buildings, all around this part of town. 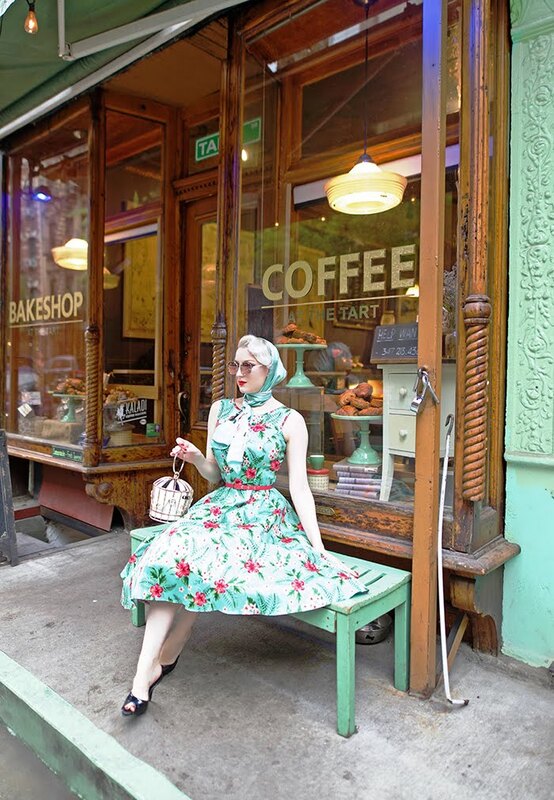 Once Upon A Tart was the perfect matching mint backdrop for my Hepburn Summer Fern Dress, by Lady V London! 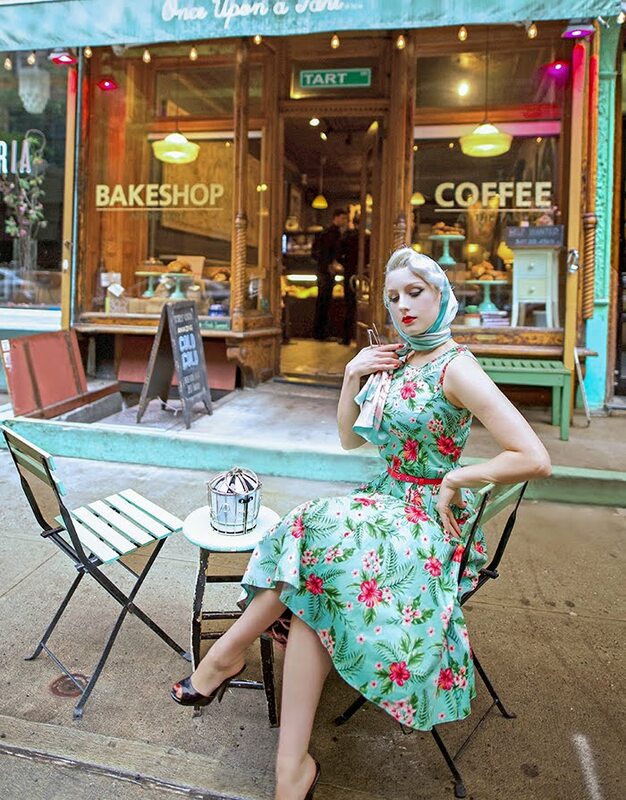 This beauty is 50's perfect, with a demure high neck, full skirt & a chic tropical print. You could truly wear this beauty from the beach to dinner, so versatile for the season!